Beautiful city. Here for a conference. Got to see the Gender Bending fashion exhibition at the @mfaboston. Very inspired to do some sewing! Pics soon. Adulthood can mean that you get yourself the stuff that would make to 5 year old you the most happy ever. Fun new pretties from @spoonflower. Can’t wait to sew with these!! Reposting @thebluebrickish here because I’ve nearly never had something resonate with much of my own experiences; experiences that had otherwise been belittled, ignored, or “explained away”. My own stories are personal and please dm me if you want to talk about othering language, treatment, and the experience of first generation immigrants. It’s a complex and challenging issue, and my heart is warmed to see that the years of being gas-lit about this can be eased and undone by thoughtful, reflective sharing by generous folks. Thank you @thebluebrickish. Supporting new local business with these great items. Awesome candle is @firmearte Hey Beautiful. I am dedicated to confronting and dismantling within myself, community(ies), and anywhere my voice can carry, the racist system of oppression that is white supremacy. Thank you to everyone who has shared their experiences and suggested people and places to go to in order to learn more and do the work of undoing white supremacy. Note: commenting turned off when I’m offline. Once every month, I’ll be re-posting from the old blog all the Knitstrology posts. This one was originally posted on January 19, 2012. Virgos are precise, analytical and are often labeled perfectionist. You’ve got the most perfectest knit garments on the block! You certainly wouldn’t be the type of person who, upon noticing a mis-crossed cable back near the beginning of your sweater, would just plod on and sport that handknit, shameful, glaring error and all! No! You’d frog, my friend. You’d frog. You might have the most perfectest knit garments on the block, but you’re shy and modest about it if people compliment you. You worry that perhaps it’s not as perfect as it could be, you could certainly have made those stitches more even and done a much better blocking job. It might have taken you a while to get comfortable with the new knit group you joined, but you’ve settled in well and are much appreciated for your dependability and helpfulness. Someone’s messed up their lace pattern. Emergency! Hand it to the Virgo, who is certain to have the patience and analytical skills to work backwards through your piece and discover the root of the problem. Industrious and efficient, Virgos might find themselves to be the knitter who shows up to knit night one week to cast on for a sweater, and two weeks later is in the process of sewing up all the seams. You manage your time well! And the yarn you’re knitting with betrays your practicality and love of all things natural. You’re drawn towards that environmentally-friendly eco wool; it would be perfect for the timeless, classy cardigan you’ve been raring to knit for yourself. 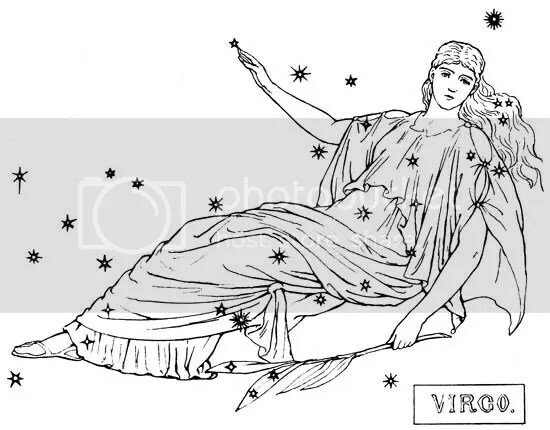 Virgo rules (rather unfortunately) the bowels and guts and icky stuff. That’s not particularly helpful when it comes to knitting garments, but Virgos love a good practical knit, so anything useful is a winner in their books! Colours for Virgo are like their personality; subdued and unassuming. Pick up a classy grey, beige or solid navy blue to make your Virgo smile! 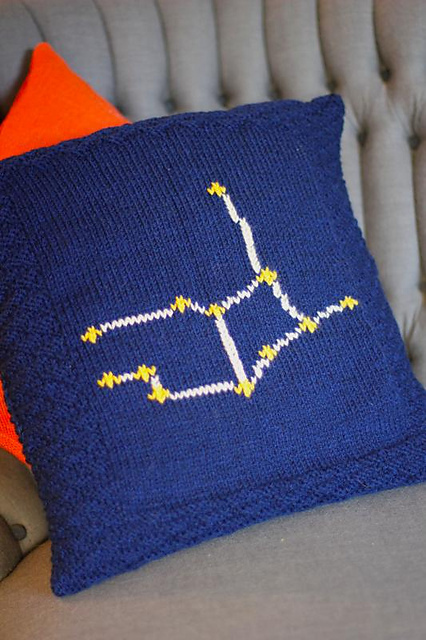 Want to knit your own personalized astrological sign pillow? Check out my “What’s Your Sign?” design!